Regardless of the sector in which you work, there’s little arguing that business is about the bottom line. Medical advancements can’t happen without money in the pipeline. Colleges and universities can’t expand curriculum without investment. Even nonprofits cannot make a difference within the community without proper funding. And, business owners must consider not only their company’s financial state, but worry about their own as well. That’s why we’ve brought you an annual Money Issue each October for six years to keep you up to date on the current economic climate both locally and globally. This year, we’re doing things a little differently. As in years past, you’ll still find our fourth quarter financial forecast with an outlook of what the first quarter of 2018 may bring. On the pages that follow, we dig a little deeper into some fiscal issues that will help you streamline your business today, including raising business capital, proposed changes to the tax code and what they could mean for local companies, analyzing and keeping operating costs in check and even whether selling your business is enough to keep you in the black after retirement. From start to finish, we’ve tapped South Jersey’s leading financial minds to give you the insight necessary to keep your accounts in tiptop shape as we head into the next year. As 2017 comes to a close, South Jersey businesses and financial experts are looking ahead to what 2018 may bring for the region’s economy. According to local experts, the state’s businesses can expect modest growth— and business owners should consider taking advantage of low interest rates and invest in their growth in 2018. According to Robert E. Curley III, South Jersey market president for TD Bank, local business owners should expect a relatively modest pace of growth in New Jersey moving forward. There’s currently an expected growth of about 1.5 percent this year and 1.4 percent in 2018, he says—which represents a slight slowdown from what New Jersey has seen over the past two years, when growth averaged 2.0 percent in 2015 and 1.7 percent in 2016. “The economy in general is growing at around a twopercent rate, and our region seems to continue on that same pace. I think we will continue to see this pace of growth into 2018, as well—many experts agree that growing at a much higher rate can actually have a negative impact,” explains Daniel Sulpizio, senior vice president and director of retail banking for Parke Bank. Better yet, he notes that loan demand is still strong and as competitive as ever. However, there are some factors that are causing a bit of concern for local economists—not the least of which is uncertainty with regards to the impact of the current political climate on businesses throughout the country. “Unfortunately, there’s a lot of divide in the world, both in the United States and abroad, coupled with natural disasters and violence that cause panic in people. … And these are all contributing factors to the way people live or choose not to live their lives,” Sulpizio explains. “Among the factors that may impact the economy the most in the coming months are tax reform and the uncertainty around health care and the future of the Affordable Care Act … as well as the increase in cyber fraud for businesses across the country,” agrees Chris Warren, market president for BB&T. Warren also predicts very modest growth as the state heads into 2018, but notes that there are some crucial changes that are currently taking place in South Jersey. 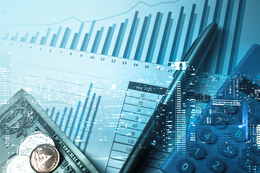 Within the financial industry, Warren notes that pricing has become increasingly competitive, and while consumers and businesses alike are relying more and more on technology as a substitute for visiting their local bank branches, there will be an acceleration in consolidation like bank mergers and acquisitions moving forward. “Though consolidation tends to increase uncertainty, both the embracing of technology and the decrease in loan pricing have been having a very positive impact on local business owners,” he adds. Indeed, there are some industries that seem destined to continue to thrive in 2018, such as transportation. “This sector is of vital importance for us, with proximity to a vast transportation network, access to a major seaport and proximity to large population centers that have made New Jersey an ideal distribution hub,” Curley explains. “The transportation and warehousing sector, supported by a booming e-commerce market, has been a definite bright spot with output rising more than 5 percent last year—four times the national pace.” He also points to Amazon’s expansion plans in New Jersey, which could create an additional 2,500 jobs over the next 18 months. Meanwhile, Curley notes that though Atlantic City continues to struggle, the hospitality industry as a whole has been hiring due to an improving labor market and income growth. Though the pharmaceutical industry has traditionally been a major player in the state’s economy, the state’s shrinking footprint in this sector will continue to pose challenges in 2018. However, according to Curley, the securities industry may be faring the worst. Though these jobs were among the state’s highest paying, they were hit the hardest during the recession—and the loss of these high-paying jobs has continued to have a significant impact on the state’s economy by depressing spending, housing demand and state and local finances. “But the good news is that the stock market is booming and this sector has been expanding and hiring—which is a great indicator of long-term economic growth,” he adds. As the state moves forward in 2018, many economic experts are advising businesses to take the opportunity to invest in their future growth. “My advice to business owners would be to take advantage of these historically low interest rates and invest in your business—whether it’s a new building or equipment,” Warren asserts. Careful planning and strategic analyses are key to keeping your bottom line in check. There’s no denying it, the world of business is changing. It’s time to be out with the old and in with the new; all while making a profit and cutting costs. Here are some ways to stop losing money and start curbing expenses. A profitable marketing strategy is of the utmost importance to every company. However, finding a method that’s both successful and affordable can be difficult, especially for small businesses. The question often is, “How can we reach a larger audience?” In an attempt to expand their customer base, companies often overextend their marketing budgets. Unfortunately, many businesses have come to realize that approach may cost more than it’s worth. The solution to this problem is simple: Stop competing and start connecting. Examining your customer analytics is an excellent way to identify your target audience. Determining who your customers are will help you decide how and where to reach them. Communicating with clients provides instant feedback for your business, and helps maintain customer satisfaction, which can go a long way. According to a 2015 Nielsen report, 83 percent of respondents report completely or somewhat trusting the recommendations of friends and family, while 66 percent of respondents said they trust consumer opinions online. Now when it comes to promoting your business online, if you know how to use it, social media can be a vital tool. From Facebook ads to Twitter accounts, companies today are trying to remain on top of the media wave. But, a new follower doesn’t necessarily mean a new customer. Small businesses cannot expect to reach everyone on every platform. Instead of wasting time and money, perfect your craft on the platform your customers are using the most and build your email list. Your email list will allow you to contact customers and prospects on a one-onone basis. “It’s a very inexpensive way to communicate with your customers and to let them know you’re thinking about them,” says D’Amico. Your customers are happy, and your marketing strategy is solid, but your business is still not making the profit you want. It may be time to dig a little deeper. With more than 40 years of experience, CPA and Managing Partner at Friedman LLP, Carl Bagell believes there are multiple areas businesses fail to notice when trying to cut costs. “What I’ve realized is that people go and run their business and they only worry about the top line and not the bottom line. ... I’m always about the bottom line,” he says. According to Bagell, evaluating costs of equipment, cell phone bills, supplies and even insurance plans can be an “eyeopening” experience for businesses. “[If I owned a business] and I wanted to know my sales and all my expenses for the same period a year ago, and I wanted to compare it to the same period this year ... I want to know what the variances are. To me, that is the most important thing [and] business [owners] do not do it,” he says. Employees and customers are two areas where it’s hard to make changes, but keeping unprofitable clients and costly staff will only hurt your business further. When cutting back or making changes to the company, remember to keep employees in the loop and provide an environment with open dialogue. “If you’re a making a lot of money then you should be able to be more extravagant. If you’re not, and you’re a small company, then you have to do your best. ... You have to meet with your employees to explain it to them, and they will understand,” says Bagell. While it may seem like an easy solution, the reality is more complicated. When you consider that one in three Americans has nothing saved for retirement, it’s no surprise people are getting creative when it comes to securing money to fund their golden years. But what about selling a business to pay for retirement? Is that a viable option? Two South Jersey experts sound off on whether it’s a good strategy. “It depends on what your goals are, what type of business you have, how profitable it is and how loyal your customers are,” says James C. Ewing, CFP, CRPS, CRPC, managing director and partner at Ewing/Cona Wealth Management at High- Tower in Marlton, of whether selling your business to pay for retirement is a good strategy. “You may wish to consider: Do you want to stay involved for a period of time, or would you prefer to monetize your business and walk away? Do you already know the party you would like to sell your business to, or are you open to a complete stranger taking over your company? There are many variables, advantages and disadvantages to each that you should weigh carefully,” he continues. He also offers some tips for those considering this strategy. 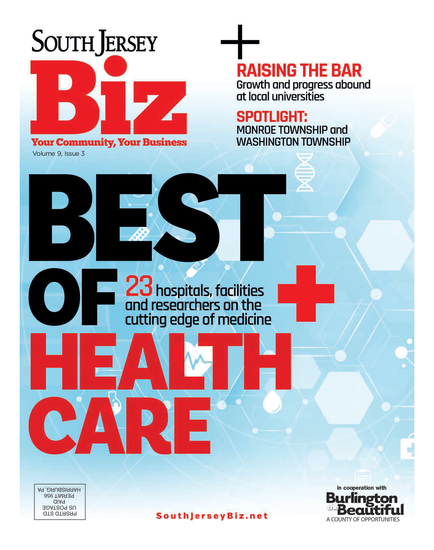 Ensuring you have a proper management team in place before you sell is also another must-do, says Mark Sulpizio, president of Innovative Benefit Planning in Cinnaminson. And be aware of the potential pitfalls. “[Also], be careful about potential earn-outs or other performance-based incentives structured in the sale—they may never materialize,” he says. And it’s certainly not a substitute for regular contributions to a 401k, an IRA or other retirement savings vehicle. “We would strongly advise business owners and professionals to save for retirement throughout their working years in an effort to build a nest egg that they can rely upon throughout their retirement,” Ewing notes. “It helps to start early, save and invest consistently.” He also advises contributing to a company retirement plan, IRA or Roth IRA up to the allowable IRS limits. “These contributions can provide the business owner with tax advantages while saving; and their distributions can be coordinated with a sound Social Security collection strategy,” he notes. There are many ways to raise money for your startup or small business, some are easier than others. According to a U.S. Bank study, 82 percent of failed businesses call it quits due to cash flow problems, which is why raising money is an important aspect of running a successful business. But in today’s economic climate—where BLS data shows only 20 percent of small businesses make it past their first year and about a third make it past their 10th year— that can be easier said than done. There are some ways, though, that businesses raise money successfully, and stay true to their mission. Statistics compiled by the website Fundable. com show that 38 percent of startups who raise money do so from their current network of family and friends. Shannon Morgan-Leonen, assistant vice president and branch manager at Investors Bank in Williamstown, says she sees a lot of entrepreneurs getting creative when it comes to raising money. Other options for raising money for a small business include savings accounts, zero-interest credit cards and leveraging your other assets. Loans from friends and family and small business loans are other options, as well as angel investors. But earning extra money on your own is, in many cases, a key aspect of running a successful small business, since less than 1 percent of small businesses or startups are funded by angel investors. And while family and friends do account for some of the funding, the bulk remains with the small business owner: 57 percent of small businesses are funded by personal loans or lines of credit. The current economy could also be an obstacle to raising money, Cornelius says. While Morgan-Leonen sees things picking up from an economy standpoint, she stresses that the approach to raising money is also important. While many details have yet to emerge, a central goal of the United Framework for Fixing Our Broken Tax Code (Tax Reform)—issued on Sept. 27 by the so-called “Big Six” group of Congressional and White House principals— is to reduce the corporate income tax rate (applicable to C corporations) from 35 percent to 20 percent. A second business goal is to reduce the income tax rate on certain businesses that are held by pass-through entities (S corporations, partnerships, LLCs and sole proprietor - ships) from a 39.6 percent maximum rate to a 25 percent maximum rate. It is expected that many service businesses will be excluded from using the 25 percent rate as this income is more in the nature of compensation. Manufactures, retailers and distributors could all expect to benefit from the pass-through rates. The lower rates make the tax deduction for New Jersey taxes of less value even as to C corporations, where $1 of New Jersey corporate income tax, which now saves $0.35 in federal income tax, would only save $0.20 in federal tax under Tax Reform as it shelters income to be taxed at lower rates. The average corporate rate in the industrialized world is 22.5 percent. The Framework would also eliminate the corporate alternative minimum tax. Methods to reduce the double taxation of C corporate earnings may also be considered. The Framework would allow businesses to expense the cost of new investments in machinery and equipment for five years. This is an unprecedented expense allowance that will accelerate tax savings to the year of purchase. The deduction for business interest, however, will be limited in some way to help pay for rate relief. Industries that rely heavily on debt, such as real estate, could suffer. The cost of debt-funded acquisitions could also rise. Numerous as yet unidentified exclusions and deductions will be repealed or restricted. In particular, the current domestic production deduction available to manufactures and producers under §199 would be repealed. The only credits mentioned as being retained are the research and development and lowincome housing credits. The Framework would eliminate U.S. taxes on the repatriation of dividends from foreign subsidiaries, in which the U.S. parent owns at least a 10 percent stake. Previously accumulated foreign earnings would be deemed expatriated to the U.S. and taxed at reduced U.S. rates, with the tax spread over several years, with liquid earnings taxed at a higher rate. Future foreign profits would be taxed currently at reduced rates. A controversial proposal would do away with the state and local income and real property tax deductions for individuals. For pass-through businesses where the state income tax is paid at the individual level, the loss of any state tax deduction would render the New Jersey tax liability of no federal tax benefit. This could impact a decision as to where high-income executives or businesses would chose to reside and work and could be an overall negative to New Jersey businesses, as it makes Pennsylvania (other than Philadelphia) more attractive as a lower tax jurisdiction than it is today. An entrepreneur’s after-tax cost from locating in one state versus another is likely to receive more attention. Much can and likely will change in the coming negotiations, but this Framework gives a clue as to where Tax Reform may be headed. Published (and copyrighted) in South Jersey Biz, Volume 7, Issue 10 (October, 2017).